Real History and the USS "Liberty"
IN early May, 1967, I got my first job. I was 29 years old, and until then I had been a rather unsuccessful player on the tennis circuit. On April 21 of that year, a bunch of patriotic, anticommunist, but as it turned out misguided colonels staged a coup against the then legitimate Greek government. I will not go into the details because they have nothing to do with my story. Suffice it to say that the democratic process and the political parties of the time were totally corrupt, the head of state, 26-year-old King Constantine, was being pressured by both the right and the left to rule in their favor, and there was serious rioting in the streets. Soon after the colonels took over, a childhood friend of mine, Nikos Farmakis, called me to his office for a chat. Farmakis was the first press secretary of the colonels, and it was rumored that he was up for secretary of state but that his appointment was blocked by the King -- who had, incidentally, sworn in the coup-makers to avoid bloodshed, and who was to move against them (unsuccessfully) six months later. Farmakis was judged by Constantine to be much too right wing. "How would you like to be my deputy?" asked Niko. I of course jumped at the chance. My credentials, after all, were impeccable. I spoke English, which was more than most people who went to work for the military did at the time. Deputy to the government spokesman meant I was given a briefing by some flunky about what was going on, and in turn I then briefed the foreign journalists lounging about the Foreign Ministry on Zalokosta St. Nothing very difficult was involved, except for finding a parking space outside. Everything was hunky-dory for a while, and then both Niko and I were fired. The former for insisting that everyone who was against the government should be shot. He meant it. The latter, little old me, for threatening to hang every foreign journalist who criticized the government. I had said it tongue-in-cheek. While sulking on my daddy's boat, I heard the news of Israel's lightning six-day war. I went into Athens and called on my friends at the U.S. Embassy who had been briefing me during my short and inglorious career as a government spokesman. My conversation with one in particular came back to me last week. "Make no mistake about it," said my CIA contact, "Israel's attack on the U.S.S. Liberty was deliberate... They knew damn well it was American and that it was eavesdropping." 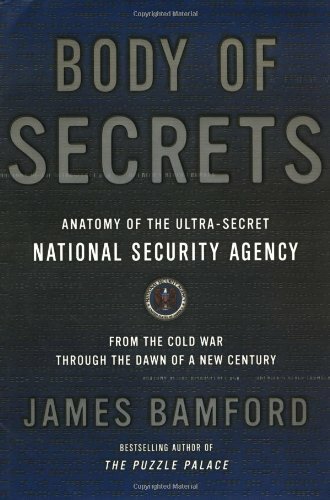 Thirty-four years later, a book, Body of Secrets by James Bamford, confirms everything my friend had told me, and much more. It is a disgraceful tale, with 34 American sailors dead and 171 wounded, and the Lyndon Johnson government hushing up the facts. Bamford writes that while the Israelis were attacking the Liberty, an American spy plane overhead, a Navy EC-121, overheard and recorded Israeli conversations. The results are devastating. The Israelis were unaware that anyone was listening, and their pilots talked openly about seeing an American flag on the ship they were attacking. The Liberty was a lightly armed, slow Navy ship that never had a chance while attacked from both air and sea by the Israelis. What was it doing there in the first place? It was monitoring the 1967 Arab-Israeli war, just as the aircraft that overheard the Israelis was doing. After all, Uncle Sam provides Israel with most of its weapons and finances its war machine. I suppose America does have a right to listen in, but you'd never know it from the Liberty's fate. Modest reparations were paid by the Israeli government, but it has never admitted guilt, claiming that it was an accident. I am not surprised; Israeli Mordechai Vanunu, who leaked to the London Sunday Times that Israel possessed nuclear weapons -- a fact well known by everyone -- is still doing hard time 16 some years later. What bothers me is the role of the U.S. government in the incident. Lyndon Johnson was a rogue, but what about the Congress? The politicians knew damn well that this was a deliberate attack on a friendly power's ship, yet it covered it up as if Uncle Sam were the baddie. Which brings me to the point I wish to make. Israel's friends and certain Jewish Americans make a terrible mistake when they interpret criticism of Israeli arrogance and treatment of the Palestinians as anti-Semitism. By attempting to silence those who criticize Israeli behavior by raising the canard of anti-Semitism -- a device that has been triumphantly successful in the United States -- they manage actually to strengthen the argument that the Israeli lobby influence prevents the Palestinian or Arab case from being properly heard. When Lord Gilmour, a respected politician with impeccable credentials for fairness, wrote a letter to The Spectator protesting Conrad Black's treatment of yours truly as a Goebbels-like figure, he was called in a return letter "a garden-variety Jew-baiter..." with a few other choice adjectives thrown in for good measure. "the territory between Jordan and the sea must be divided into two states, Israel and Palestine, adopting the 1967 borders with slight modifications." I have nothing more to add to what Charles Glass and George Szamuely have written the past weeks in these pages about Israeli intransigence -- except that no matter what names we are called by those who excuse Israel's flouting international law with impunity, we will not be silenced by the false and cowardly charge of anti-Semitism. Unlike Lyndon Johnson and the politicians who covered up the crime committed against the Liberty, thus aiding and abetting Israeli arrogance, I at least will publish and be damned.